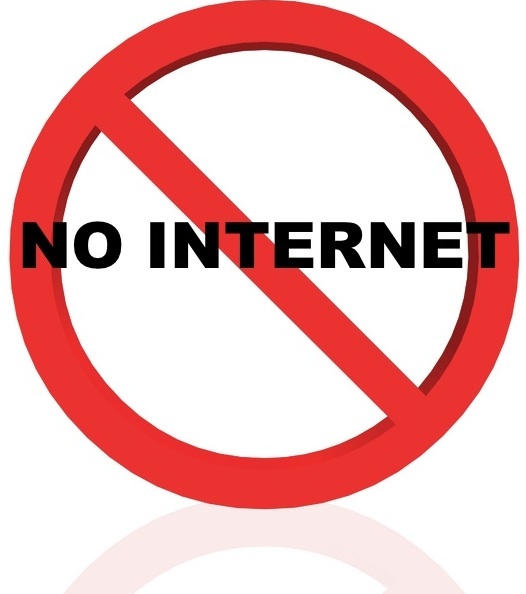 HomeOffline America: Pew’s latest research shows that 15% of American adults don’t use the Internet at all. 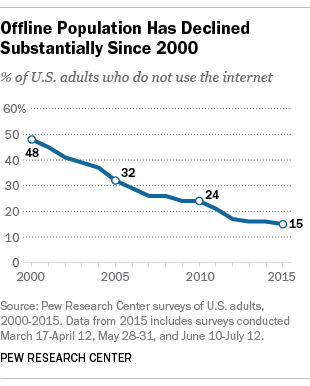 Offline America: Pew’s latest research shows that 15% of American adults don’t use the Internet at all. For those of us who spend practically every living minute of our day online, it seems almost unbelievable that there are actually some people in the United States who simply never go online. Part of the long-term shift has been new people interfacing with the Internet. 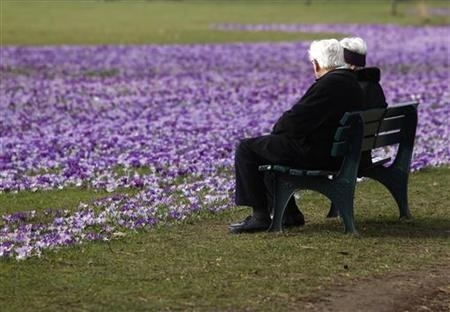 But another factor is simply the “aging out” of older populations as they pass from the scene. The demographic dynamics Pew finds on Internet usage show relatively little difference in behavior based on ethnicity — except that only about 5% of Asian-Americans never go online. Rather, it’s differences in age particularly — but also in income levels and education levels — that are more telling. The results of Pew’s latest survey, which queried ~5,000 American adults, can be viewed here. Since the research is conducted annually, it will be interesting to see if Internet usage resumes its drive towards full adoption, or if the ~85% adoption rate continues to be a “ceiling” for the foreseeable future. ← Phishing Expeditions: How Effective Are They?